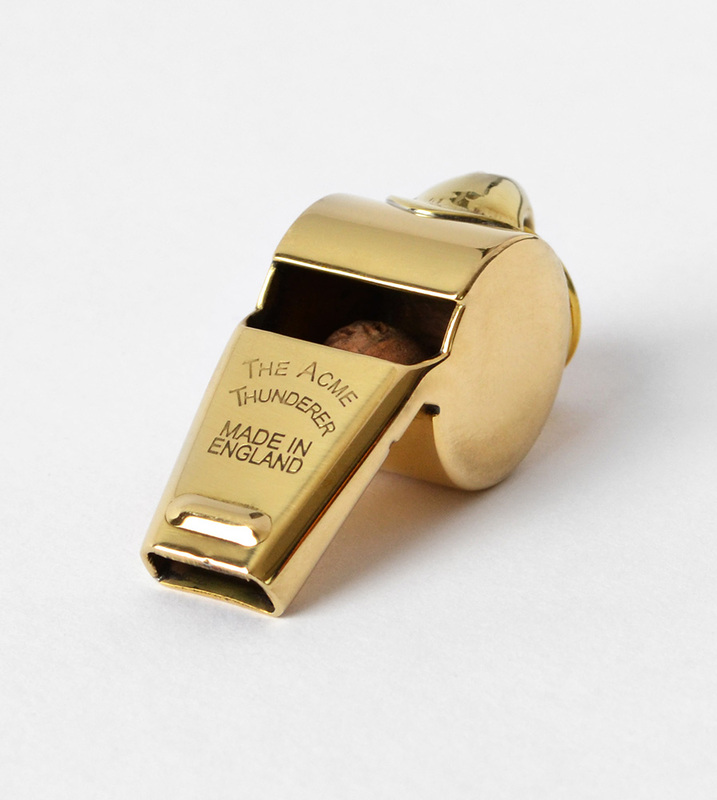 Acme Thunderer (Referee's) Whistle (60.5). This whistle is a small sized whistle with a high pitch. Polished brass (gold color). Overall length 1-13/16" X drum width 11/16" X tapered mouth 1/2"